Onslow's future as a growing regional centre has been set in concrete with the recent expansion of the gas industry around this centre. 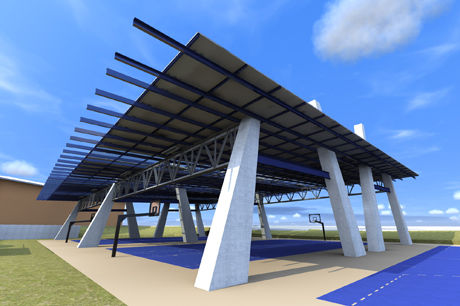 To create a place that encourages permanency and a strong sense of community, the Shire of Ashburton, with the assistance of Roxby Architects, are developing a new sporting precinct. 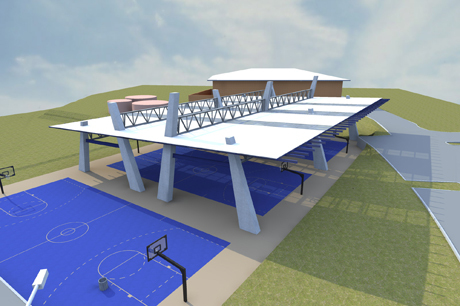 In addition to proposals for an Aquatic Centre, Skate Park and picnic facilities, the proposal includes a new basketball area, providing for 2 covered courts and one fully outdoor facility. This dynamic structure will sit between the existing Multi Purpose Building and a sacred indigenous site, significant to the local aboriginal community.